Following research conducted by the firm's Cupar office, the second quarter from April to June 2014 saw property sales in the region continue to steadily increase when compared against the same quarter of 2013 and the first quarter of this year. The number of viewings and the number of prospective buyers registering with CKD Galbraith in Cupar also rose substantially during this stage. "There is really strong demand for good houses in the 200,000 to 450,000 bracket, with rural properties that come with a few acres especially sought after. Activity in the 500,000-plus market remains somewhat slower than we would like but it is a sector that should hopefully develop strongly once the referendum has taken place, and a decisive referendum result is likely to give the entire market a significant boost. Generally the underlying economic conditions are much better than they have been for several years and as such we are encouraged by the overall outlook and forecast for that rest of the year with the expectation being for continued growth in the market into 2015. "To be in a position to take advantage of the widely anticipated bounce in the market in September / October our advice is to get your house on the market now. Summer is here and gardens and properties are generally looking their best so it is an ideal time for the high calibre professional photography that we need to market houses to their absolute full potential. Your local CKD Galbraith office will be delighted to assist." 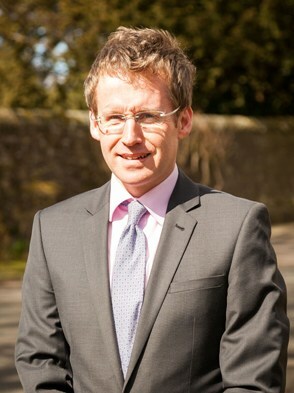 CKD Galbraith's Cupar lettings department have also experienced a successful second quarter. "The second quarter of this year saw a 22 per cent increase in the number of properties lets through our Cupar office. This is a promising increase which we are confident will continue through the current quarter and the next. There is particular demand for country cottages in good order with multi fuel stoves and the average time taken to let properties in the region remaining around eight weeks." If you are interested in selling or buying a property in Fife, please do not hesitate to get in touch with our Cupar estate agency team.